Start of construction is planned for mid-2019. The completion of the construction of the first phase is planned for 2021, the second phase for 2022. After 10 years - the full purchase price. After 15 years, the developer offers the opportunity to revise the new rental warranty period. 200,000 THB - reservation deposit. 40% - upon signing the Purchase Contract within 30 days from the signing of Reservation Agreement. 20% - upon completion of infrastructure. 20% - upon building foundation completion. 10% - upon unit building structure completion. 10% (minus deposit) - upon keys handover. Kamala Bayshore Villas is a villa project developed by Phuket Buy House, Kamala Bayshore Villas construction will be completed in 2021. Kamala Bayshore Villas at Kamala, Kathu has the following facilities: cctv, fitness, garden, parking, security and swimming pool. 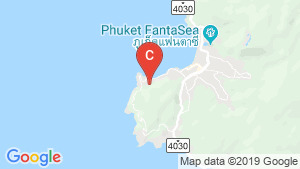 Phuket Buy House has also developed projects such as Oceana Surin Condominium, and Marina Paradise Condominium.